It’s as simple as this. Snap. Tag. Print. Instantly! Have you heard of Social Playground? 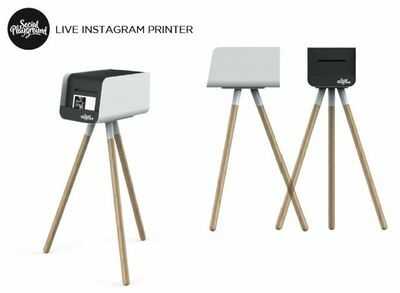 This very cool portable Insgtagram printer is going to be the new hot item at upcoming PR and social events, and allow consumers to be part of the growing universe of content sharing, giving longevity to the brand and the experience. The PR experience doesn’t begin with the invite and end with the goodie bag. Concepts such as Social Playground is taking the brand experience to a new level, leaving a lasting momento so the brand messages resonates long after the last drinks are called. Picture this (no pun intended…) you’re at a product launch, you love what you see, so you take an Instagram picture and add a hashtag. The Social Playground on site printer instantly recognises the hashtag and prints the photos and seconds later you can collect your branded photo to have as a keepsake from the night. So, all of your hundreds or thousands of Instagram followers not only see what you’re up to (and that cool product that has just been launched), but you get to keep a cool pic as a reminder of your night out. With picture messages spreading like wildfire, organic content sharing is becoming the chosen medium for visual brand launches. Guests will be inspired to share images from their night out which will create an online buzz about the brand. 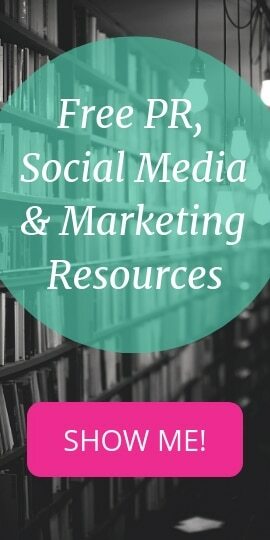 We all know about hashtags from Twitter, and with hashtags on Instagram working in a similar fashion, the ‘trend’ will be driven further to reach numerous individuals who otherwise wouldn’t know about the participating brand. Yes, this is PR, and pictures are just as important as column inches. It’s as simple as that. Use Instagram cleverly and you will create a viral conversation, and at the end of a fabulous night, you’ll also have something to decorate your fridge with!